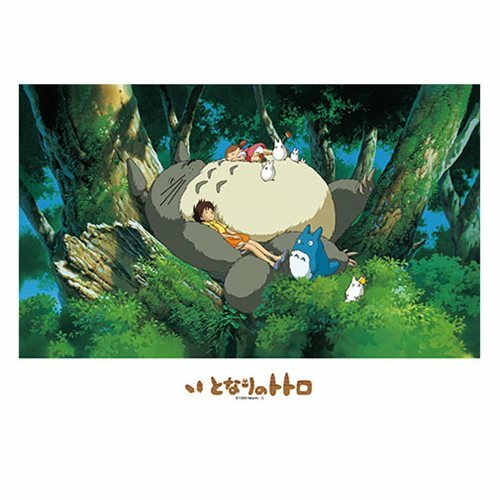 Based on the hit Studio Ghibli film My Neighbor Totoro comes the My Neighbor Totoro Napping with Totoro Puzzle. The puzzle features an image of the memorable scene from My Neighbor Totoro. Perfect gift to share the beauty of the Totoro world. The puzzle has 500 pieces. When assembled measures about 21-inches wide x 15-inches tall.